We are excited to announce the long time Rockwall tradition of the Texas Sports Baseball Organization has joined forces with the Dallas Tigers! The former Big League Sports Academy complex located in Rockwall, TX will now be “Dallas Tigers East” facility. For nearly 15 years, Texas Sports Baseball has been in operation to provide a productive environment for the development of youth baseball. Joining the Dallas Tigers will now expand the opportunities of our youth baseball community. Dallas Tigers East will be the premier baseball academy for the East Metro / East Texas Area as your “youth, High School, and College Prep” development academy! To celebrate and kick things off, we are having several Grand Opening Events. Dallas Tigers East Grand Opening will be held Dec. 3rd beginning at 9:00am. We will conduct tryouts throughout the day for all of our age groups in addition to tailgating, drawings for prizes and more! Founding Father of the Dallas Tigers, Tommy Hernandez, will be on site to meet and greet everyone along with Marucci to kick off the start of this new beginning. Please check out our tryouts announcements for detailed information. Don’t forget to register in the tryouts section of this site to stay connected with Dallas Tigers East! Private tryouts are available at no cost. Please contact the Director – Chris Ethridge to schedule a private tryout @ 214.600.9847 or email chris.ethridge@dallastigersbaseball.com. The Dallas Tigers East teams have tryouts scheduled to complete rosters for the 2017 season. 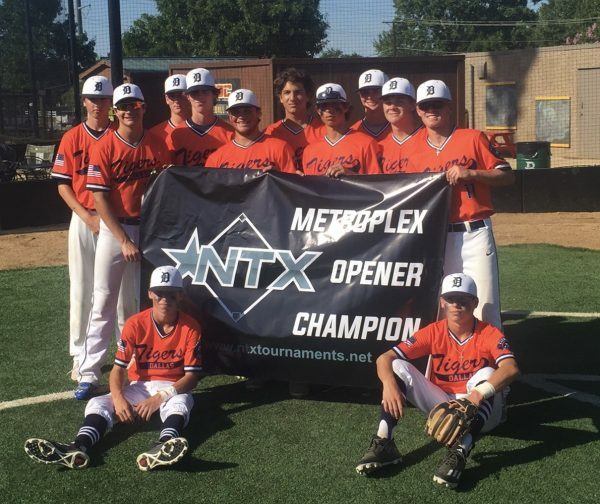 The Dallas Tiger East teams consist of players from the entire DFW area and beyond including Allen, Richardson, Addison, Plano, Garland, Highland Park, Forney, Rockwall, Mesquite, Sulphur Springs and Wichita Falls, Oklahoma and Louisiana. See information below for tryout location, age groups, dates, and times. * Please be at the field stretched and ready to begin on time. Format: Saturday is an open tryout for anyone to attend. You will be notified after Saturday’s tryouts of the results. *** To register for Dallas Tiger East Tryout, please email dallastigersbaseball2018@gmail.com with this information below. Send Player Name, Age Group trying out for (and school), date of birth, grade, position(s), height, weight, throws R/L, bats R/L/S, previous team, previous level played (Major, AAA, AA) for 13U team, and which tryout you plan on attending, email and phone number. For additional questions for Dallas Tigers East tryout you can email dallastigersbaseball2018@gmail.com or call Michael Farmer 214-763-9319. You can also email Coach Toal 16u or Coach Nowell 13u. https://dallastigersbaseball.com/wp-content/uploads/2012/08/logo_tryouts.jpg 294 460 Tigers Marketing /wp-content/uploads/2017/11/tigers-brand-mark-156.jpg Tigers Marketing2016-10-12 19:51:282016-11-14 19:00:322017 Dallas Tiger EAST Spring/Summer Tryouts Announced! 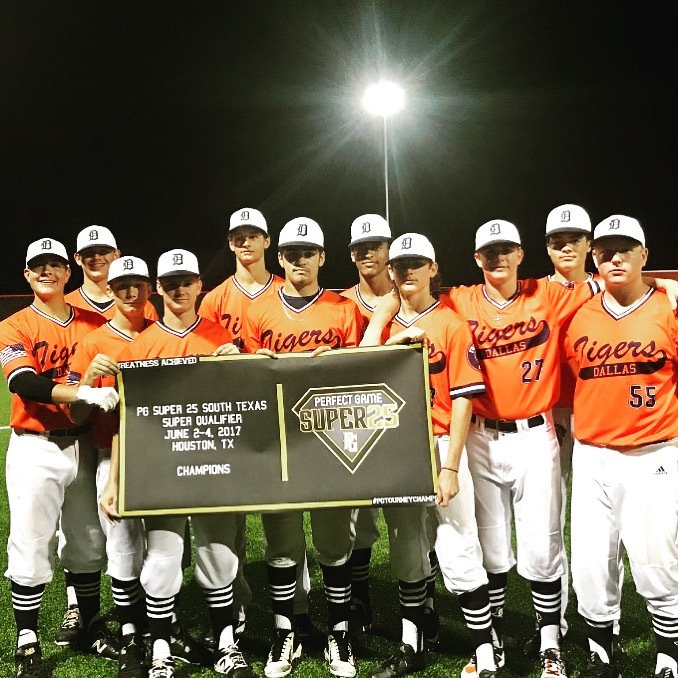 The 16U Dallas Tigers East will be adding a few players to their roster and will be holding tryouts on November 7. See below for location and time slot. For additional questions for the Dallas Tigers East Tryout you can email dallastigersbaseball2018@gmail.com or call Preston Clark 214-797-0579 or Coach Jeff Johnson 214-554-0547. DALLAS TIGERS EAST TRYOUTS NOVEMBER 9th!! Mark you calendars for November 9th and bring your son to the Dallas Tigers 12 and 13U Tryouts. We are adding to a AAA/Majors talented group of young men that want to compete at a higher level this Spring. We have committed ball players that are looking for competitive athletes to come in and push each other to the next level. Both Coaches are Paid coaches with baseball backgrounds!! /wp-content/uploads/2017/11/tigers-brand-mark-156.jpg 0 0 Tigers Marketing /wp-content/uploads/2017/11/tigers-brand-mark-156.jpg Tigers Marketing2014-10-21 11:39:132014-10-21 11:39:13Dallas Tigers EAST Tryouts Coming Up! The Dallas Tigers 12U & 13U East will be hosting a tryout October 12! Mark your calendars and contact instructors below. 12U and 13U year old players looking for Spring 2015 team. 12:30-3:00. Tryout will start on time. Please be there at 12 to make sure you sign in and get the boys warmed up.